We have all heard that old “scientific fact” that we lose 80% of our body heat through our heads. In truth it is closer to 50% when we are exercising. Elevated heart rate, increased respiratory activity all contribute to more heat lost through your scalp. Yes – that’s correct your scalp, the part most covered by a helmet. That means on a hot day your best asset for dissipating heat is prevented from doing its job. This can be further exacerbated if you like helmets that are dark in color. I have tested a lot of helmets and they all do a pretty terrible job of cooling the top of your head. They flow air to your forehead, to your chin, and maybe some of the top of your head. Usually they just trap sweat on your scalp and mess up your hair. Here is what I have found that works for me and several others to combat that heat being trapped. Tips for a cooler head! Get your head measured and buy a helmet that fits properly. 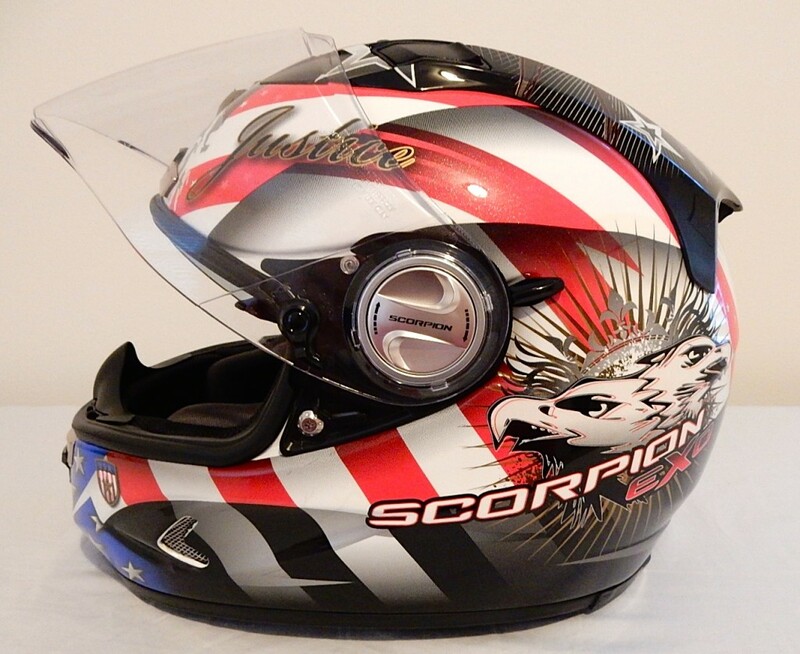 A properly fitted helmet will allow air flow to reach where the designer intended it to reach. Black is awesome, it is also the worst color for a helmet. Black absorbs heat, at the other end of the spectrum white reflects heat. Not everyone wants a white helmet but lighter colors will definitely help keep you cooler. 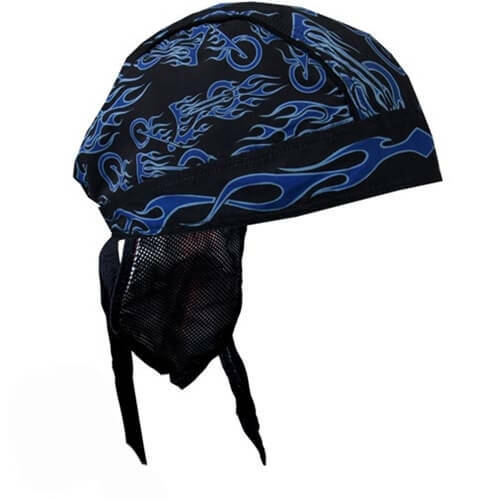 Do-rags or beanies when worn can also help cool your head. Adding a layer of wicking material can assist the interior of a helmet absorb moisture. Lastly for those really hot days a cool wrap around your neck can help cool the blood headed to your cranium and help keep you degrees cooler. What are some tips that you use?